Seedlings that did not receive any fungicide (right bed) had a superior growth rate than those receiving standard fungicide application (left bed). Scion is examining ways to improve the performance of radiata pine seedlings by understanding more about the mycorrhizal fungal community found in soils. Mycorrhizae are a class of fungi that are critical to plant growth. They form associations with the roots of most plant species, increasing the surface area of the roots and enabling the plant to absorb a greater volume of nutrients and water. Soil Scientist Dr Simeon Smaill says a key focus of the work has been to explore the impacts of fungicide use on the mycorrhizal community that associates with the seedlings, and the subsequent effects these have on growth. The research is part of Scion’s Growing Confidence in Forestry’s Future programme, and expands on work initiated under Future Forests Research in 2009 to study the effects of fertiliser and fungicide use on seedling quality and the mycorrhizal community. Findings from these, and more recent, studies have shown that seedlings treated with less fungicide had superior survival rates and growth rates, suggesting there was an opportunity to optimise the use of chemicals in seedling nurseries. Based on the success of these trials, ArborGen is working with Scion to conduct operational-scale trials at its nursery in Tokoroa. Findings to date have shown that a 50% reduction in fungicide use has resulted in seedlings that are 7.5% larger (root collar diameter), without any negative effects on seedling health. 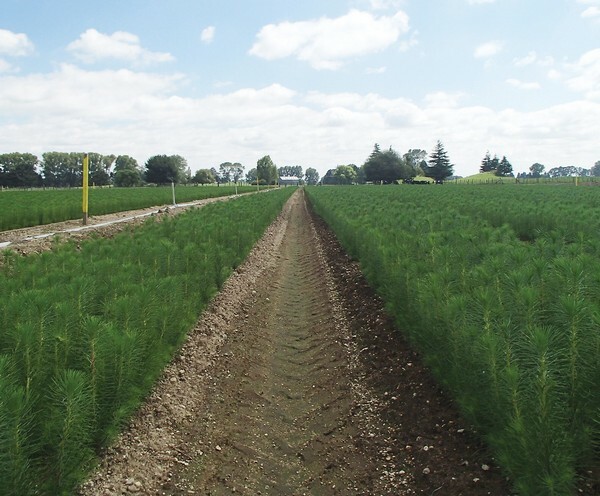 Seedlings from these operational-scale trials are currently being planted in multiple field trials around New Zealand for further monitoring to identify the extent to which these improvements in seedling quality enhance growth performance when planted in the forest.